I made some monkey bread this morning because MONKEY BREAD. Instead of a normal, mediocre recipe, I prepared a special variation from the kitchen of your’s truly. My “Monkey Bread with Pears, Dried Cranberries, and Balsamic” turned out even better than the first time that I made it. Check out the poem below, along with the recipe here. It comes from a pretty fun blog post all about cinnamon. Aaaand end to my shameless plugs. Bon app y’all. 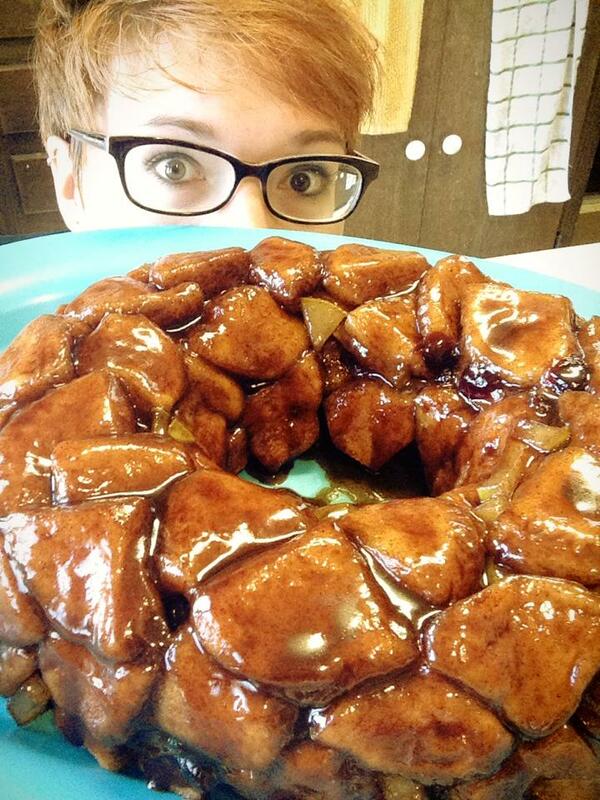 I’m in your kitchen, creeping on counter, making you monkey bread.